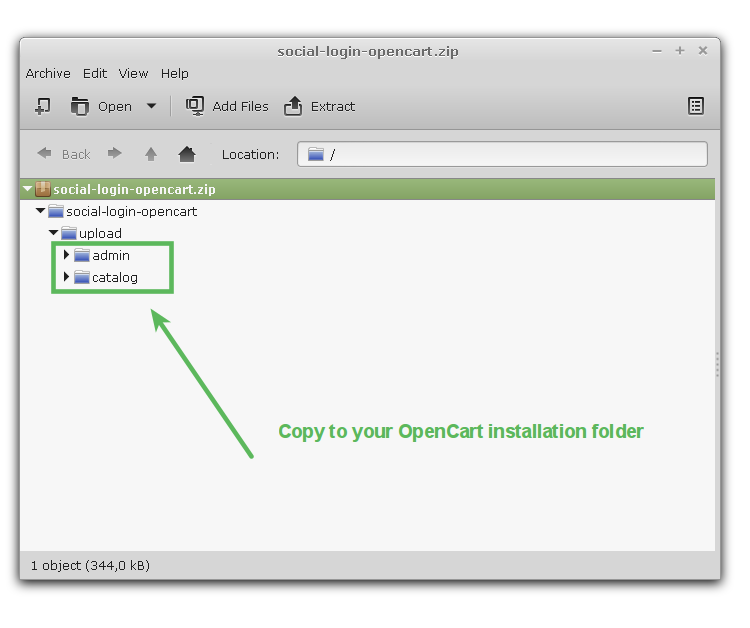 Social Login allows your users to connect with one click to your OpenCart 3.x shop by using their social network accounts. Gather rich demographic information (age, gender, phone numbers ...) about your users without requiring them to fill out any forms. Obtain pre-validated email addresses and increase your data quality. 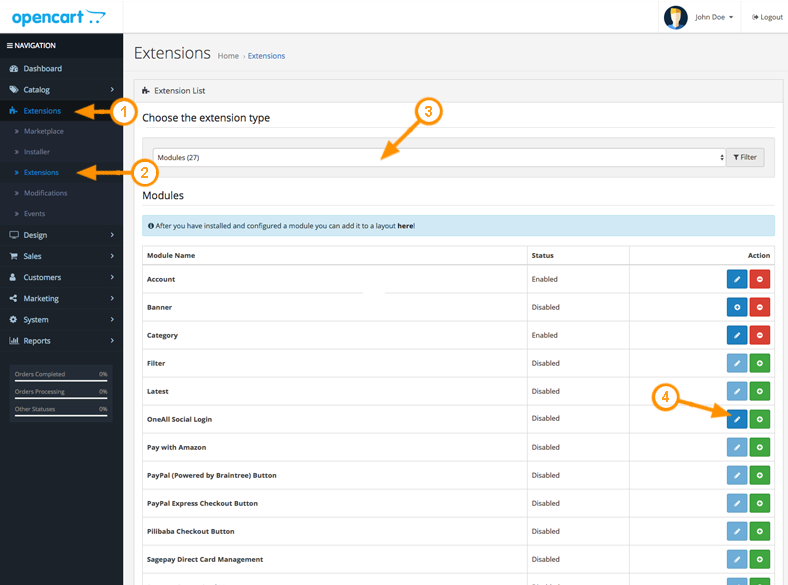 Login to your OpenCart administration area and navigate to Extensions \ Extensions. Select Modules value in the extension type list . Then look for the module Oneall Social Login and click on the Install button. Login to your OpenCart administration area and navigate to Extensions \ Extensions. Select Modules value in the extension type list . Then look for the module Oneall Social Login and click on the Edit button. For Journal 3, you have to integrate the plugin manually, please refer to point 3d below. d. I want to display Social Login at another location. The following shortcode will display Social Login and allow users to login with their social network accounts. Simply insert the code in any Twig template of your OpenCart. Please note that Social Login is only displayed for users that are not logged in.